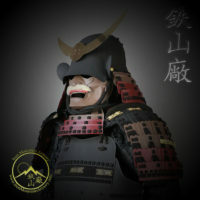 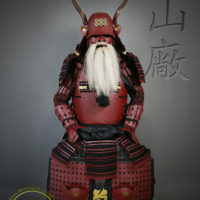 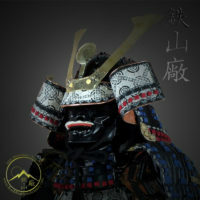 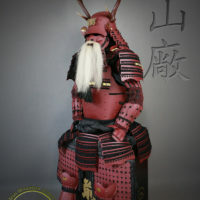 This Samurai Armor Sale is for the Gashira Class “Sanada Yukimura Samurai Armor” suit as pictured. Finished with in crimson suna and black lacing. 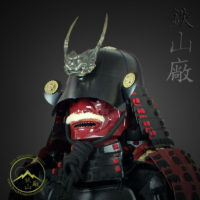 In includes the Yoroi Bitsu (display / storage box) and display stand. 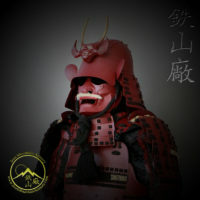 Comes as seen. 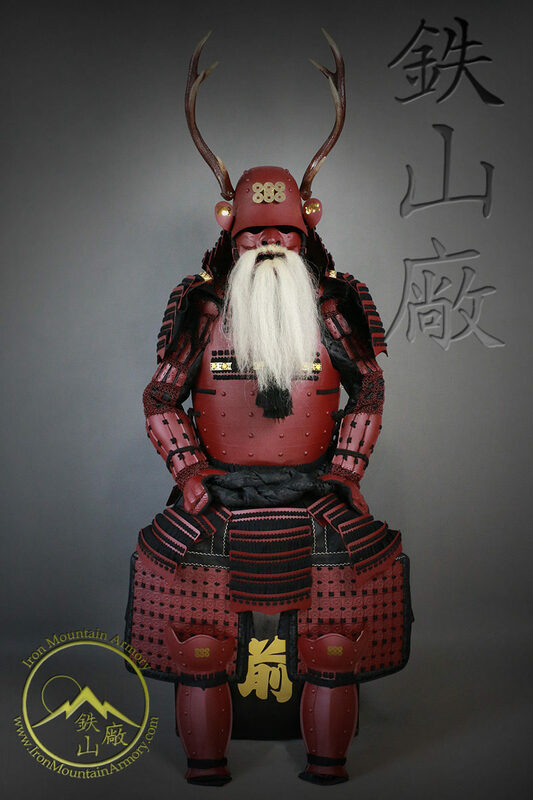 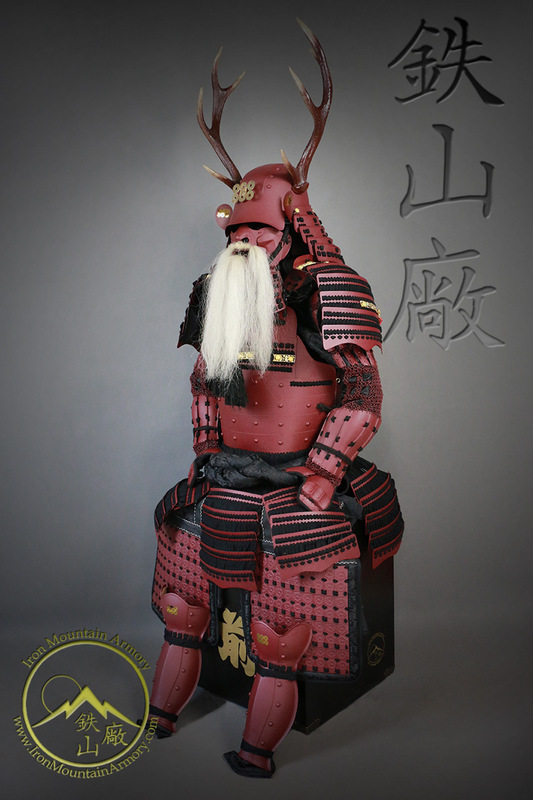 This Gashira Class samurai armor has be crafted by our seasoned katchû-shi (Japanese armor smith) in honor of Sanada Yukimura (真田 幸村, 1567 – 1615), a legendary samurai represented by his iconic Gusoku (armor set). 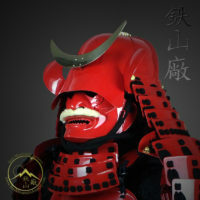 The Sanada Clan’s famous maedate (crest) is called “Rokumonsen” which represents the six coins believed to be needed to cross the river of the underworld. 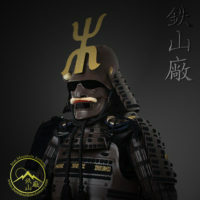 This mon expressed how the Sanada Clan had no fear of death, making them even more fearsome in battle. 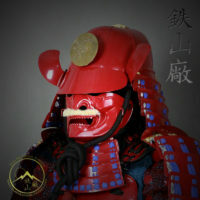 As a Taisho of the Sanada Clan, Yukimura brought great honor to his family name as he was known not only as a fierce warrior but an excellent military tactician as well. 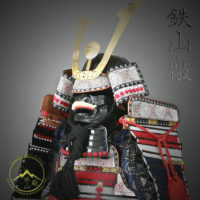 His reputation was well earned after he emerged victorious in many battles, even when he was vastly outnumbered. 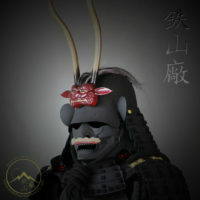 Most notably he won even more fame after organizing and leading the defence during the Siege of Osaka. 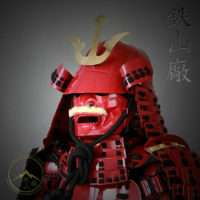 The legends call him “Crimson Demon of War” and “The Last Sengoku Hero”. 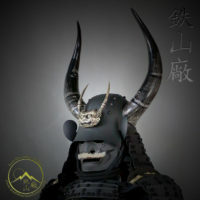 His kabuto is adorned with the antlers of a deer to personify his prowess for attack and defense.